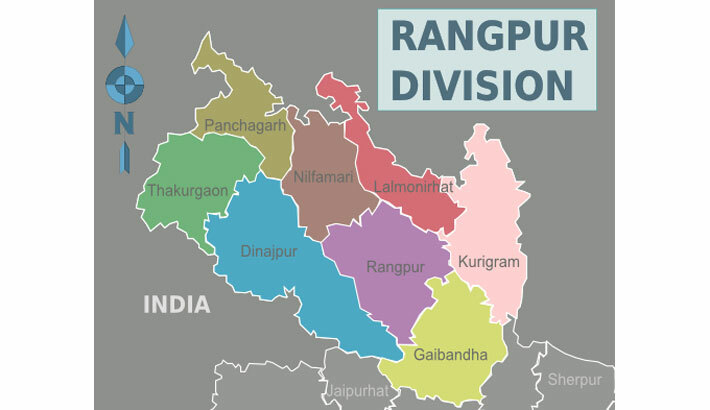 RANGPUR: The government has further intensified distribution of blankets among the clod-stricken people of Rangpur division from Tuesday to mitigate their sufferings being caused by the sweeping cold wave, reports BSS. Divisional Commissioner Kazi Hasan Ahmed said all eight district administrations already distributed 3.74-lakh pieces of blankets allocated by the government among the cold-hit people in the division. “The eight district administrations again got 40,000 pieces of blankets allocated by the government on Tuesday raising the total number of allocated blankets to 4.14-lakh pieces for Rangpur division,” he added. Hassan said the government sent one high official from Ministry of Disaster Management and Relief on special assignment on Tuesday to each of all eight districts in the division for proper distribution of warm clothes among the cold-hit people. The specially assigned high officials along with Deputy Commissioners, Additional Deputy Commissioners (ADCs), District Relief and Rehabilitation Officers (DRROs), Upazila Nirbahi Officers (UNOs) and public representatives already started distribution of warm clothes from last night. In Rangpur, specially assigned Joint Secretary Muhammad Hiruzzaman with Deputy Commissioner Muhammad Wahiduzzaman, ADC (General) Ruhul Amin Mian, DRRO Faridul Haque, UNO of Sadar upazila Ziaur Rahman, local public representatives and journalists distributed blankets among cold-hit people in different rural areas. “We have already distributed 58,000 pieces of blankets out of received 62,500 pieces among cold-hit people in all eight upazilas in Rangpur,” the Deputy Commissioner said while distributing blankets among ethnic minority people at Uttar Sheikhpara village under Sadar upazila from Tuesday night. Talking to the agency while distributing blankets at Lalchandpur Asrayan Prokalpo here in Sadar upazila last night, Joint Secretary Muhammad Hiruzzaman said the government would provide the cold-hit people with all assistances to mitigate their sufferings. In Dinajpur, Joint Secretary of the Ministry of Disaster Management and Relief Fazlul Karim Chowdhury with high officials distributed blankets among the cold-hit people of villages of Rajbari, Chatrar par, Chalutipara and Bangibhasha Ghat under Sadar upazila last night. “We have got 81,670 pieces of blankets from the government and already distributed 76,670 pieces among the cold-hit people in all 13 upazilas and nine municipalities in the district by Tuesday,” DRRO of Dinajpur Mokhlesur Rahman Manju told the agency on Wednesday. Gaibandha DRRO Idris Ali said distribution of 56,495 pieces of blankets allocated by the government till Monday already completed among the cold-stricken people of all upazilas in the district by Tuesday. “We received allocated 5,000 pieces of more blankets on Wednesday,” Ali said adding that Additional Secretary Dr Atikur Rahman of the Ministry of Disaster Management and Relief is now monitoring distribution of blankets in Gaibandha district. Deputy Commissioner of Thakurgaon Md Abdul Awal on Wednesday told that the government has so far allocated 44,177 pieces of blankets and of them, 39,177 pieces were already distributed among the cold-hit people of the district. Similarly, the government has allocated 37,000 pieces of blankets for Lalmonirhat, 46,937 pieces for Nilphamari and 33,000 pieces for Panchagarh districts under Rangpur division and distribution of the same continues in full swing.